Today, of all days, there seems like a serious fire danger for North Texas. I heard a reference to Wise County's "Hippy Ridge" this week. I have not thought about that place in years. The Batman TV series was comedic genius. In this scene depicted below, ice melting slowly puts the dynamic duo into sulphric acid (clearly labeled). And look at the labels on the scales. It goes from "Close" to "Agony" to "K.O." to "Curtains." And then the episode, like most of them, would always end by telling us to tune in next week to find out what happens. "Same bat time. Same bat channel." HBO has renewed Barry for a second season. I must be a crowd pleaser. There are 750 different felonies in Texas. I think we've got everything covered. "It's not that I don't like people, it's just that I don't want to hang out with them." - Someone to me in the courthouse this week. We could be soul mates. Someone said to me at the courthouse yesterday: "You don't get mad [when you don't get what you asked for], you just sulk." There's a lot of truth to that. Twenty-four buried bodies have been found at a Sugar Land, TX construction site. That city used to be home of a sugar farm where prison inmates were treated as slaves on a plantation and were forced to work for free. I didn't even mention the new Comey book. 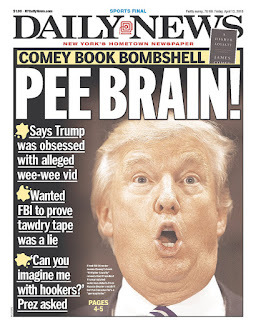 Despite conservative commentators begging Trump just to ignore it, the Toddler In Chief couldn't help himself. 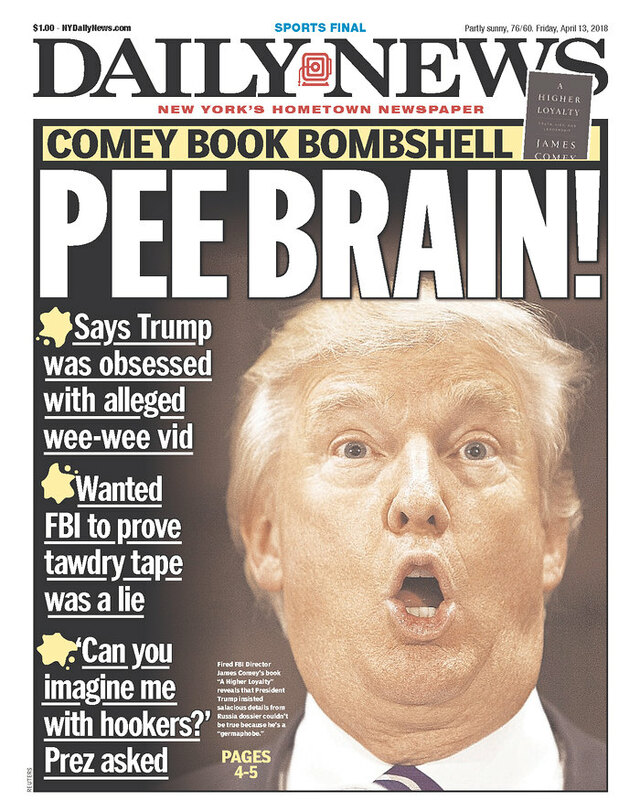 He called Comey an "untruthful slime ball" this morning.